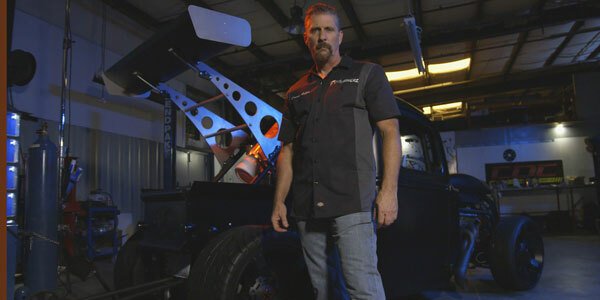 A stuntman turned custom vehicle fabricator, David Ankin lives life on the edge to create impossible builds, and then push them to their absolute limits. As the owner of the shop Toymakerz in Reidsville, North Carolina, Ankin is living his dream creating everything from monster trucks to race cars on his HISTORY show of the same name, “ToyMakerz“. David Ankin:Growing up we used to travel around to garage sales, and I bought every lawnmower piece I could get my hands on to build my mini bike or a go-cart. My dad built hot rods and toys, so you know I was just trying to fit the bill. My dad was a racer, and fabricator, and builder, and I just wanted to be like my dad to be honest. And, we didn’t have a lot of money and I remember every year we’d mow lawns all summer and shovel snow all winter to get money to build our toys. That’s really where it started, as a youth watching my father and being around my father’s friends, and just wanting the new cool toy to play on. Q: How did you become a stuntman and then decide to build your own business? 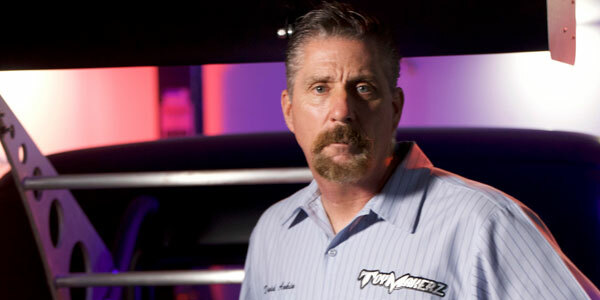 DA: I started as a kid just wanting that poster on the wall, so I had to learn to build the car on the poster or the bike on the poster. I couldn’t afford to go buy a million dollar car, I had to learn to build one. Then I got into racing and I was racing on and off for years. I raced just about every type of vehicle there is. Then, I got into the stunt business and played with that for a few years, and then you realize, “Geeze, this hurts.” And, if you get hurt, living goes out of the window so you’re constantly having to work another job and the stunt business. So I did that for a while, but the one constant from childhood was I was usually the guy – even if I paid someone else to build something for me – I’d tend to bring it home and go through it and rebuild it my way. Because I was going to drive it a little harder, a little faster, a little meaner. 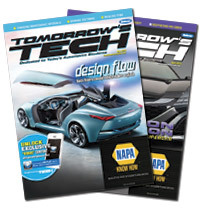 And, really my whole life was based around redesigning what I touched, had or bought. DA: For me, I really live life on the edge. And I mean that everybody thinks I’m nuts or crazy, or way over that top, but I’m really not. I live on the edge, right on out of control, and I live it in every aspect of my life. If you’re gonna do it, you cannot succeed in life if you don’t fail. You can’t win a race if you don’t crash. You can’t be a great father, husband, boyfriend, anything you want to be, if you don’t make mistakes. So I believe in living right dead on the edge and if you give it everything you got and you’re persistent, you’re life is fuller because everything is right there. It’s just about putting myself in positions that are just impossible and most people can’t do, and then doing them. Q: Any advice for anyone wanting to do something like you do? DA: Do what you love to do. Believe, trust, jump right off the edge. Anything’s possible… If you’re going into life and you’re doing it just for a job and that’s how you live life, it’s a very boring life. Do what you want to do, believe in what you want to do. Make sure it’s what you really, truly want to do. Don’t let anyone tell you can’t; just go do it. Listen, it’s not easy. This is the hardest thing I’ve ever done, but in the end, it’s the most rewarding. I say this all the time: It’s absolutely the most amazing thing on the planet, but, it’s so much work. If you’re good about what you do, you’re passionate, you believe and you give it 110%, you’re honest, you’re loyal, you’re hard working – every company needs one of those guy in the shop. The biggest problem is that they go into it with the attitude of a job. It’s not a job, it’s the rest of their life. It’s a life decision and I think they have to look at what do they want the rest of their life. Q: What are you most excited for us to see in the new season? DA: We’re doing some crazy, crazy stuff. We’re finishing up a ’41 Willys Coupe that is so dead wrong, and so far out of the box of what it’s supposed to be, that makes it just absolutely right. It’s got way too much horsepower. It’s way too light. It’s way too short. It’s absolutely an animal and I’ve designed the car to give rides to people. We also did a ’56 International old school pickup. I did a Harley-Davidson Bagger, that they call a geezer glide, you know for an old man, but I made it my style: doubled the horsepower, put hobby tires on it, mid-controls, basically everything you shouldn’t do to a Harley, I did. We did a Richard Petty clone car with Richard Petty himself. I got Sarah Edwards – who is one of the word’s fastest girls and she’s a member of the 300 MPH Club – doing a car for her. We’re doing a couple Monster Trucks this year. We’re really trying to think outside of the box. I like all toys, don’t care what it is. I like it all and I’m in a world now where I get to do it all. So I want to celebrate all ToyMakerz and all toys. 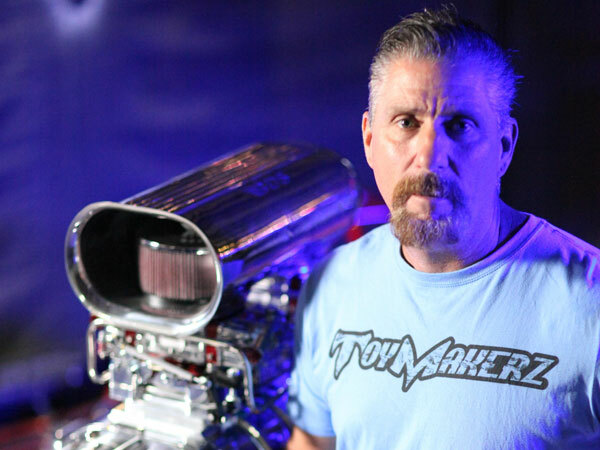 Catch Season 3 of ToyMakerz Sundays at 9 a.m. on HISTORY and Saturdays at 10 p.m. on FYI. Past episodes are also available at HISTORY.com, Amazon On-Demand and iTunes.